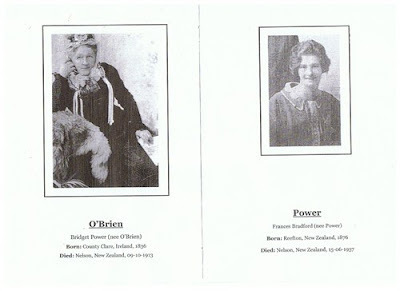 Page 2 of the memorial booklet includes a photo of Bridget Power (O'Brien) who was Kate Flanagan's (Catherine Mary O'Brien) older sister. Her daughter, Frances Power Bradford's photo also shares the page. 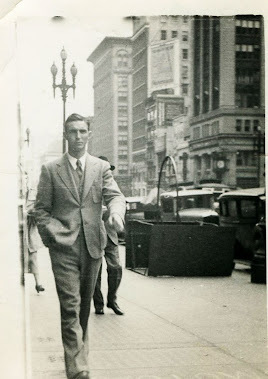 The next post finds my 3G grandparents, my 2G grandparents, and mentions my own grandfather. It it pretty amazing.